This year, TASER sponsored five recipients of the Grace Hopper scholarship, named after the programming pioneer who helped develop the earliest computers. The honor recognizes women in technology and covers their costs for the annual Grace Hopper Celebration, held in Houston from Oct. 14-16. Here's part one of a five-part series of Q&As with the award winners. TASER Grace Hopper scholarship winner Jenny Wang is a self-described “tech-obsessed millennial.” She's lived up to that title by always trying to make the most of technology. Following a near-fatal driving incident in 2012, she developed an app that uses electrodes to monitor drivers’ brainwaves. It emits a loud noise if it detects neural patterns associated with drowsiness. 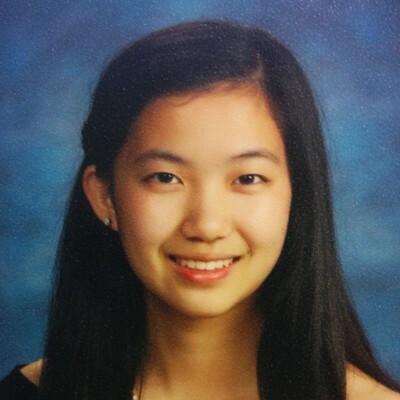 Today, she is a freshman at Harvard, working toward a degree in mathematics and computer science. TASER: What challenges do you see to making technologies like the one you developed more widespread? Jenny: I guess something that would make this more widespread is the increasing influence of neuroscience. Recently, with President Obama’s passing of the BRAIN Initiative, there’s been this huge push toward this sort of research at the top research institutions internationally. It’s really brought neuroscience more into the public eye and to the press. I think now we’re starting to realize how powerful understanding the brain can be, because, if you can reverse-engineer human intuition, that can bring about technologies such as artificial intelligence that can just change everything. It can change the entire landscape [of technology].I definitely do think that in the future it’s going to be more and more prevalent. T: What kinds of technologies incorporating neuroscience can we expect to see on the horizon? J: Definitely the easiest to bring to market will be these more rudimentary forms of brain tech such as the harmless electrode, like the one I used, that you can stick on your forehead and that you can monitor your brain activity. That has a huge amount of applications. I used it for my drowsy-driving app, but I can foresee teachers using it to measure a student’s attentiveness, because we have higher alpha waves when we’re paying attention, so we could use it in [Educational] Tech. Another idea would be to diagnose the mental activity in people suffering with diseases such as Parkinson’s, to see if they’re still active. T: What was your interest in science before developing your drowsy-driver app? J: I’ve always been interested in all of the STEM fields. And I was kind of inspired by that, kind of inspired by Iron Man, to do research related to neuroscience. But at the time I was too young to work in a wet lab. What I could do was work with the brainwave kit. Two summers ago, I worked in a Harvard Medical School lab where I got to see real brains and create algorithms to measure brainwaves. My project was, working with a huge amount of brain images — we take a brain and slice it into really thin slices so that you can see the cells, take hi-res pictures, and perform super in-depth MRIs, which are slice-by-slice images. What doctors and radiologists do is they look at these images, but people are prone to error. For this reason I wanted to have a computer look at these images. My project was to look at these brain slices and teach the computer what’s brain and what’s not. Once you’ve extracted info on all of these slices you can construct a 3D visualization of it. That was really cool. T: You talk about Iron Man in your cover letter. What do you see as science fiction’s relationship to technological progress? J: I think that science fiction a lot of times is where a lot of new tech comes out of. I remember going to a conference where the keynote speaker was the lead futurist at Intel. He said, “I really encourage high school and middle school students who like science and writing to write science fiction stories,” because sometimes some of the innovations that come out of Intel come from reading stuff like that, where somebody imagined it and then went and made it happen. He mentioned something about having read a high schooler’s essay about having this predictive machine learning/A.I.-type technology where you could diagnose people’s feelings and then return the appropriate response. I think [Intel] went and made something like that. In the story it was more like having some type of technological friend who's there for you and could understand you, but they took it and mapped a bunch of emotions together and produced an output. T: What are things that you’ve seen in sci-fi that you’d like to see in reality? J: I’ve always loved J.A.R.V.I.S. in Iron Man. T: How can technology be used to make people safer? J: I remember when there was the Arab Spring uprising, people used Twitter to save people’s lives. Safety is hugely connected to social media, because now you can track your friends’ location so easily. You can always deduce where anybody is, which can be a good thing for safety but a violation of privacy. I think safety’s really being played up through that. T: What’s one fact everyone should know about you? J: I have an asteroid named after me. It’s my name and a whole bunch of numbers after it. For the Intel International Science Fair, if you place high enough you get an asteroid named after you. This interview has been edited and condensed. Photo courtesy of Jenny Wang.